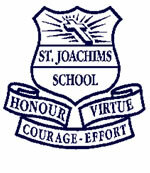 St Joachim’s is a Parish K-6 Catholic Primary School. The students come from more than forty diverse cultural backgrounds. The suburb of Lidcombe borders The Olympic Centre, Silverwater Industrial Complex, Rookwood Cemetery, Parramatta Road and Lidcombe Railway Station. The Sisters of St Joseph founded the school in 1885 and remained active in the school until 1984. After that time the Sisters handed the Principalship over to lay staff who have continued to uphold the traditions and spirit of Blessed Mary MacKillop and her Josephite Sisters. Creating an environment in which every person is encouraged to fulfil their potential. Being a supportive, true and living Catholic community that witnesses the values of the Gospel. Being a multicultural community of families which nurtures, accepts and supports each of its individual members. The school motto is Honour, Virtue, Courage, Effort. Manufacturer (and installer if required) of Heavy Duty Downpipes and Bag Racks for schools, gyms and public places. 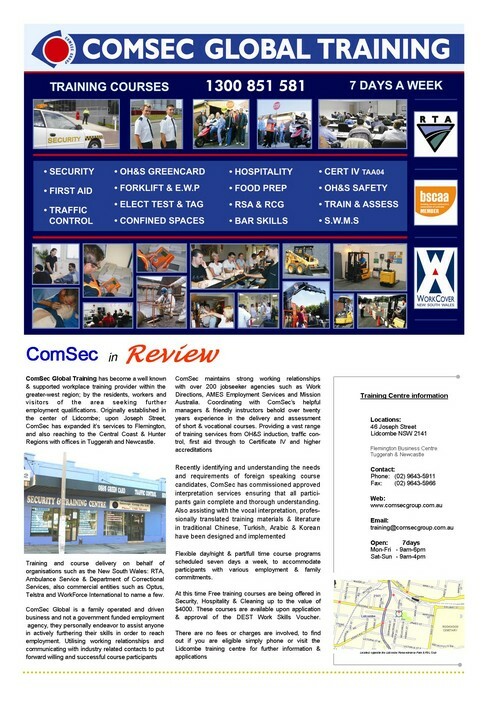 ComSec Training, a Comsec Global company, is one of the leaders in recognised training and assessment. 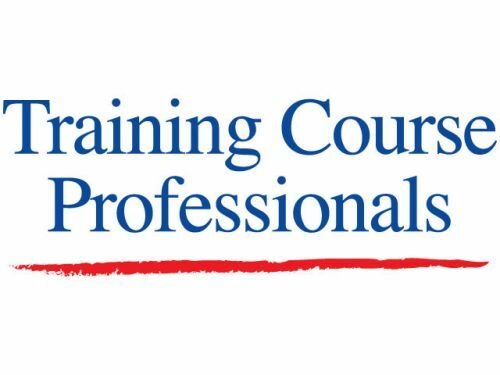 Providing qualified trainers holding current Certificate IV in Workplace Training and Assessment. Training is focussed upon Australian Standards, Workcover and Vetab regulations and requirements. Each instructor brings into the classroom a wealth of experience from related industry, ranging from construction, commercial through to government sectors. For the past 10 years Comsec Global has provided a range of courses to satisfy workplace demands and has achieved excellence, satisfaction and credibility within its industry and client base. Comsec promotes a flexible and friendly learning atmosphere in order to suit all participants with their personal requirements.